Oesophageal cancer is uncommon and these symptoms can be caused by many other conditions. You should see your GP if you experience these symptoms. Your GP may refer you to a specialist consultant. Our experienced experts can diagnose and treat oesophageal cancer in a hospital near you. A bronchoscopy is a procedure to look for any problems inside of your airways (bronchi) and lungs using a thin, flexible instrument with a light on the end called a bronchoscope. Cytology is a form of pathology that diagnoses diseases and abnormalities at a cell level using a microscope. A diagnostic endoscopy is an examination to look at your internal organs using an instrument called an endoscope. Endoscopic ultrasound (EUS) is a highly specialised investigation combining two types of tests - endoscopy and ultrasound. A therapeutic endoscopy is a procedure to treat a problem with your upper gastrointestinal tract (mouth, oesophagus, stomach and small intestine). An upper gastrointestinal (GI) endoscopy is a procedure to look at the inside of the oesophagus (gullet), stomach and duodenum using a flexible telescope. This procedure is sometimes known as a gastroscopy. Gastroesophageal disorders are problems concerning both your stomach and your oesophagus. Your oesophagus is the tube that connects your mouth to your stomach. Palliative medicine is a speciality that provides support and management for patients with serious illness that may lead to end of life care. During radiotherapy, x-rays are used to treat several types of cancer. 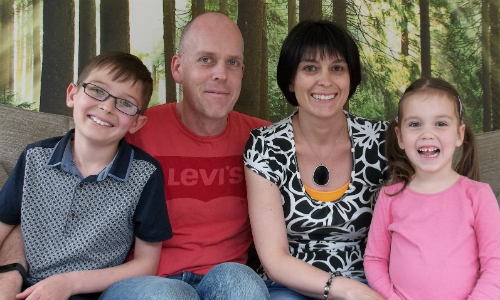 When Tom was diagnosed with prostate cancer at 43, his long-felt suspicions had been confirmed. He was the latest in his family to be diagnosed, and the youngest.